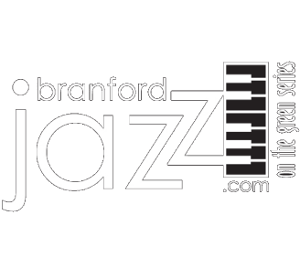 Thank you for supporting Branford Jazz on the Green. See you next season. The Branford Jazz Concert Series & Stony Creek Brewery presented an entertaining jazz program at the Brewery on Wednesday March 30 with over 125 attending. “Dr Joe & Friends” performed from 6:30 pm to 8:30 pm. “We are very happy with our first scholarship concert”, said Charlotte Mattei spokesperson for the Jazz Series committee. “The goal is to establish a scholarship fund for Branford student to study music”, said Dr Joseph Cardinale a member of the Jazz Concert Series and the guitarist for "Dr Joe & Friends who played before the jazz audience on the upper level in the Brewery. Also in the quintet was 89 year old Donn Trenner on Keys who played in the Steve Allen Band back in the 50’s for over 10 years and is the author of a book entitled, "Leave it to Me……My Life in Music. Other ‘friends’ in the jazz group included Dave Daddario on base, Ben Billello, drums and Chris Coulter on sax. Included in the audience were several sponsors including Al Canosa of Mosaic Printing, Signage and Marketing Services who ‘toasted’ the event by raising his Stony Creek ‘brew’ saying “It’s good to have jazz back in Branford”. He enjoyed the concert and looked forward to the jazz series beginning on June 23, the week after the festival. “It’s always a great nigh on the Green”, said Canosa. Another sponsor in attendance was Matt Reale who came with two of his staff members Brendan Page and Traci Knapp. Reale was pleased to be a sponsor of the jazz series again. “We get a lot of satisfaction being identified with the jazz programs in the summer. We feel it adds to the quality of life in Branford. The big crowds every Thursday mean people like it”. Those attending last night purchased tickets for $25 and it entitled them to a Jazz Series pint glass and their first beer plus the music of ‘Dr Joe and Friends’. A number of attendees purchased a pizza from Frank Andrews Mobile Kitchen who was set up outside in the parking lot. Other brought their own favorite dish. Proceeds of the event benefit the Branford Jazz Music Scholarship Fund. The silhouette of clarinetist Chris Coulter in from of the 2016 Branford Jazz Series schedule. Josephine Farricielli, 96, enjoys a ‘cold one’ with her daughter Susan Norbeck and her husband Carl. Committee spokesperson Charlotte Mattei thanks the sponsors, the audience and committee.